Packaging wise, I am loving this becauwse it is housed in a pump, with glass that feels sturdy. 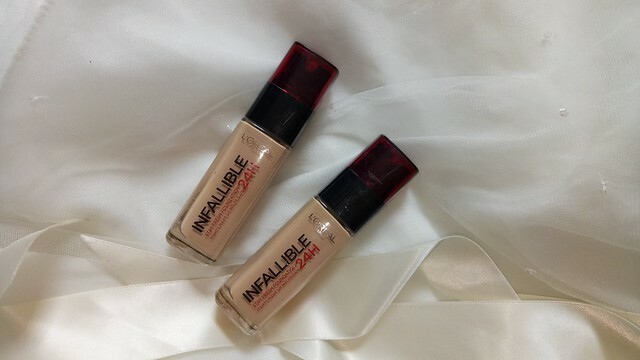 Said packaging of L'Oreal Infallible 24H Stay Fresh liquid foundation is contrary to the L'Oreal True Match Super Blendable which is the total opposite, with a screw cap and easily breakable glass not ok for rigorous travel. 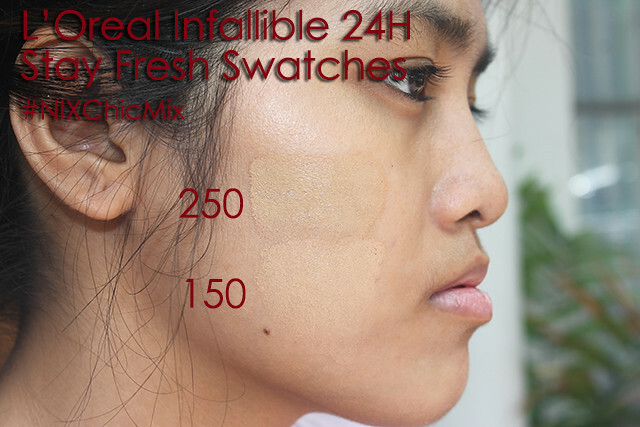 There are a total of 5 shades available for the Filipina skin, and I have two shades on hand. I got these from Lazada and L'Oreal directly but you can purchase it in all L'Oreal counters and Department stores nationwide for Php . 250 is the Darker Shade and 150 is the lighter shade. Shades start at 100 and ends at 250. I am a mix of the two. Coverage wise, it goes for medium coverage, so I thinly apply it on my face. And on a great sleep night, it can cover my usually dark undereye circles pretty decently. It has medium coverage, and can last for up to 8 hours max, with the commute and hot weather in Manila. after 4-8 hours (depending on skin type) I experienced cracking of the foundation on my laughlines and creasing under my eyes. 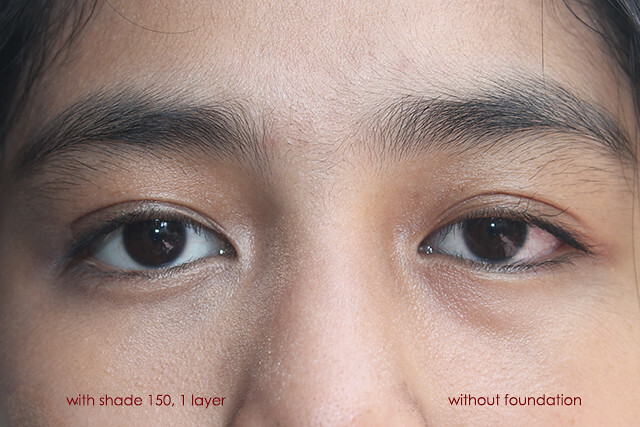 This is with and without primer. 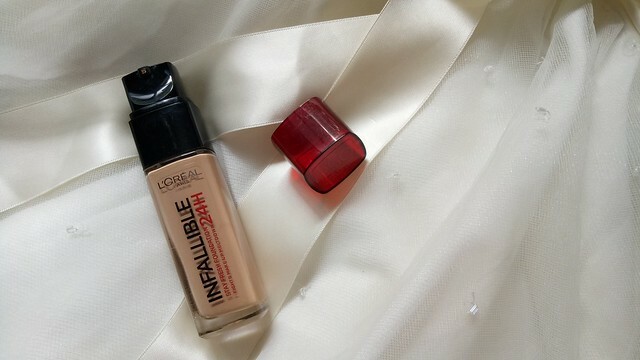 The positive thing that I liked here though is that I don't sweat as much when I use this foundation, plus the blendability and coverage unlike the others that I have tried, weather from L'Oreal or not. 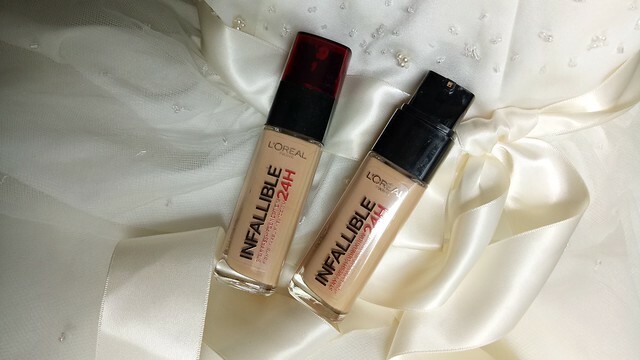 L'oreal is one of my fav brands when it comes to foundation. I have a sensitive skin who's picky with brands. Hiyang factor for me is always a must and i got that with L'oreal. Would love to try this soon after using my current foundation which is from L'oreal too! Finally! A good review on Infallible 😊 My friend has been using this and she is simply glowing every single day. She has oily skin yet this foundation does wonders. I love the packaging too! You are right. The glass is sticker and sturdier. 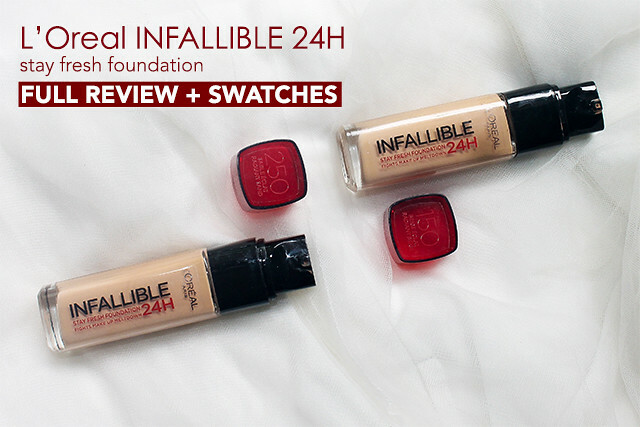 I really like L'Oreal products because of the quality and affordability of their make-ups. I've tried using their mousse foundation and loved it, so I will definitely give this one a try since I want to switch to liquid foundations. Really hope to catch this on sale! Haha! I always think it's hard to find a great foundation! I'm very pale and finding the right color is not easy. I usually like L'oreal products. I often use their mascara. I use foundation mainly in the winter.